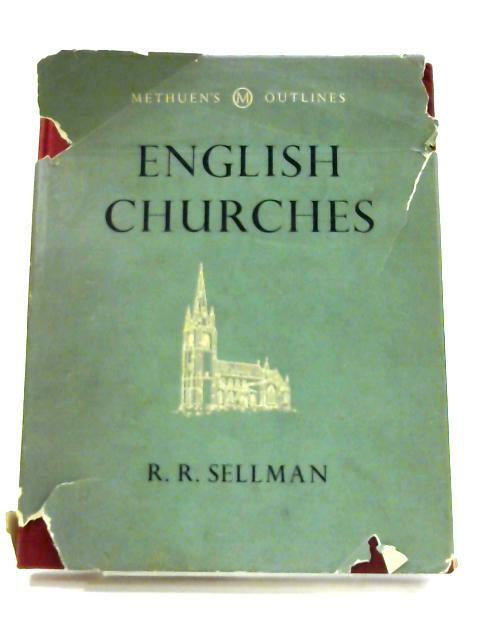 English Churches by Sellman, R. R.
1956. First Edition. 63 pages. Green dust jacket over red boards. Line drawings by author and Alan Sorrell. Firm binding to clean, lightly tanned pages with bright copy throughout. Previous owner's name to fep. Clean squared boards with dulled gilt lettering to spine. Sunning patches to boards. Light rub wear to edges and bumped corners. Usual shelf wear and markings to clipped jacket with tanning to spine and edges. Creasing and tears to edges with several missing pieces.